The Patna Pirates, who have been the best raiding team in the tournament, kept up the pressure on the Fortunegiants, with some superb work, to win 32 raid points. 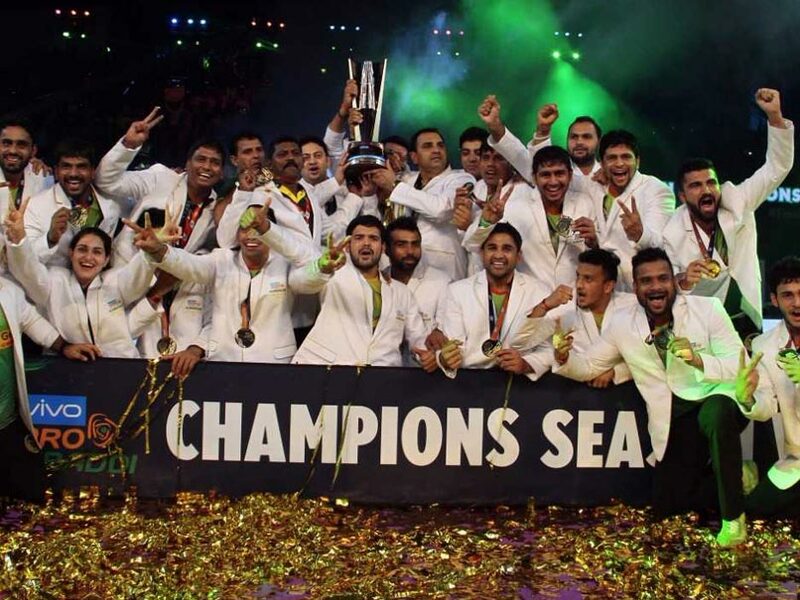 Patna Pirates romped to their third straight triumph in the Pro Kabbadi League, outclassing debutants Gujarat Fortunegiants 55-38 in the final of the 2017 edition at the Jawaharlal Nehru Indoor Stadium in Chennai on Saturday. After a close first-half, Pardeep Narwal's Patna Pirates stepped up the pace and cruised to victory. Narwal was the star for the Patna team, as has been the case right through the tournament. He topped with 19 raid points and capped a memorable PKL-Season 5 by guiding the team to a hat-trick of titles. The Pirates, who have been the best raiding team in the tournament, kept up the pressure on the Fortunegiants, with some superb work, to win 32 raid points. Monu Goyat began the night with a stellar raid to pick up the first points for Patna. Fortunegiants bounced back almost immediately and kept pace with the Pirates and trailed 18-21 at the end of the first half. The second half was in contrast to the first as the formidable Pirates riding on Narwal's brilliance broke down the resolute Gujarat defence and pulled away, inflicting an all out in the 23rd minute to lead 27-21. Fortunegiants scored three successive points in the next three minutes as they trailed 25-29. Vijay scored with a crucial do-or-die raid in the 30th minute as Patna Pirates led 30-26 and got Narwal back on the mat. Narwal came up with a super raid as Patna inflicted another all out in the 32nd minute to lead 38-26. He attained a super 10 while Jaideep got a high five as Patna Pirates led 39-28. Gujarat Fortunegiants came back strongly as they scored five points in two raids to trail 33-39. Narwal came up with another super raid in the 36th minute as Patna Pirates led 43-34. The Pirates forced a super tackle in the same minute to extend their lead to 45-34. Sachin was the top scorer for the Gujarat team with 11 points but Narwal's brilliance carried the day for Patna Pirates. Monu Goyat scored nine points whereas Jaideep chipped in with five tackle points. 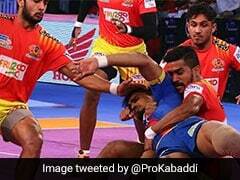 It was a disappointing night for Gujarat as their famed defence failed miserably on a night when it mattered the most. Gujarat managed just five tackle points and couldn't contain Narwal and Goyat. Narwal ended the season as highest raid point scorer with 369 and fittingly lifted the trophy besides taking the 'Most Valuable Player' award.